BLOOMINGTON, Ind. 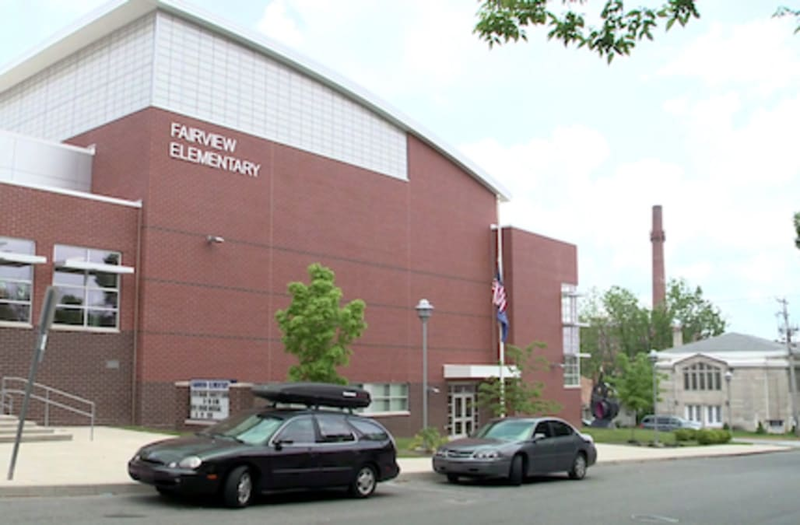 (WXIN) -- Police took two Fairview Elementary School students into custody after pictures and a video of them with weapons surfaced on social media. The boys, ages 11 and 12, were arrested on intimidation charges and taken to a youth detention center in Knox County on Saturday. Bloomington police also arrested two adults and a 17-year-old during their search for weapons. A representative from Fairview Elementary School contacted Bloomington Police Department about images and a video posted on Instagram. According to a release, the images showed two Fairview students holding what looked like firearms. A video depicted one of the boys threatening a female classmate and her brother. Police say the boy appeared "angry and agitated" and claimed that the AK-47 type weapon was real and that the two students were going to get "lit up." One of the boys told police the video was posted on Instagram earlier in the day during a birthday party on the east side of Bloomington. According to Bloomington police, the threats stemmed from a dating relationship between the juveniles. Detectives went to the home in the 100 block of S. Park Ridge Rd. to try to talk to anyone present during the birthday party and to locate the weapons. Police say no one immediately answered the door and they noticed several younger males sleeping on the home's lower level. At one point, Laquita Perry-Leverston, 33, came out and told officers they couldn't come into her home without a search warrant. She then retrieved the assault-style weapon and another weapon from the trunk of her car. Police say both were actually BB guns. According to a news released, officers obtained a search warrant for the house and started removing some of the people inside so they could serve the warrant. At one point, police say a 17-year-old left the home and told police they couldn't touch him. When confronted, police claim the teen resisted and had to be handcuffed and placed in a patrol car. Bloomington police allege the teen tried to kick out the car's window and threatened to kill an officer monitoring him. Officers also arrested Paris Leverston, 37, and Laquita Perry-Leverston when they reportedly became loud and disruptive. They were then booked into the Monroe County Jail. A search of the home yielded one additional replica weapon beneath a bed in a bedroom. None of the weapons seized in the case were found to be actual firearms.